Finally back with a few outfits. 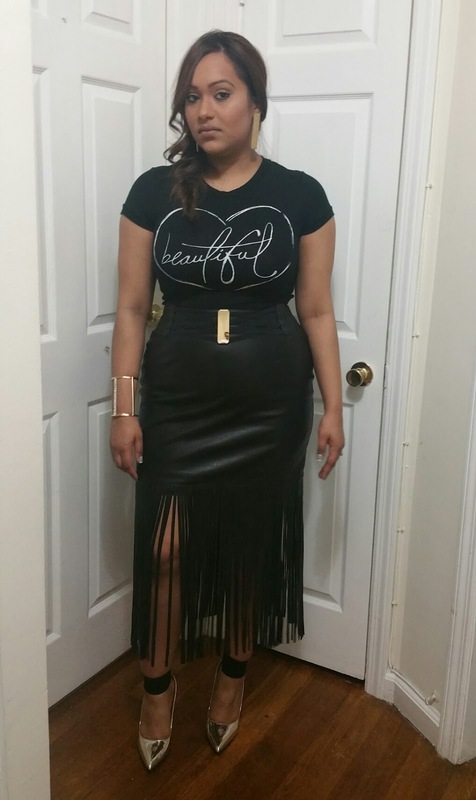 Isn't it amazing how women can go through inward storms and still maintain her outward beauty? While we all struggle with our own little battles, it is nice to be reminded that we are beautiful no matter who, what, when, where, why and how! This tshirt did just that for me. No matter what you may be facing, you have the willpower and strength to overcome it! Your happiness is in your hands, take control of it. 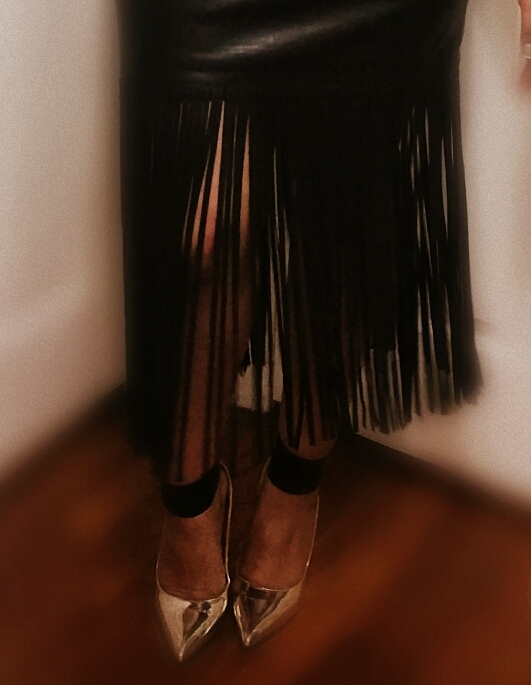 While the leather weather is somewhat fading, I had to take my fringe babe out once and for all. This piece has been sitting in my closet since September 2015. 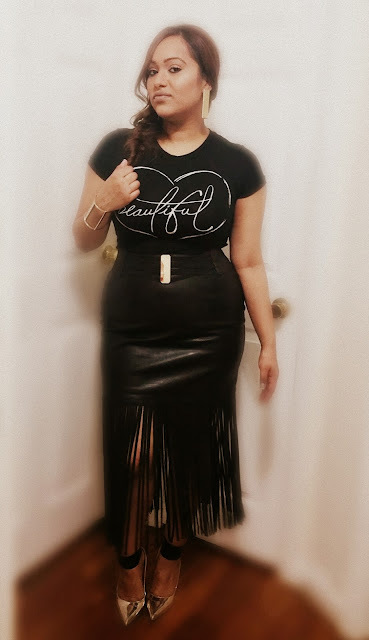 I finally was able to wear it for a fun night out. I was going for a semi-casual look with a bit of pop. I let the gold details be the pop of the outfit.